ENTRY 2 Wearing a pouch with a baby in a cradle carry position, I'd make sure the seam is in the middle (i.e. the lowest point) and that baby is snugly fitted in between two layers of fabric (which will prevent baby to slip down and to ensure comfort). I'd constantly check on baby's colours (i.e. on the face and his body) to ensure that he is not stressing out to breath. It's also important to ensure that baby's legs is safely cuddling towards my body and not bent etc. Above all, I feel it is important to ensure getting a quality pouch with a strong seam and made with quality and durable fabric that will provide good enough support. 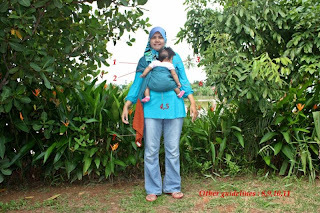 To me, safe babywearing is not only to ensure safety of the child in a carrier but also, to ensure safety of the child if they are NOT in the carrier. I had to work during a weekend in an exhibition by the side of the road and I MUST wear my DD so that she doesn't wander around. ENTRY 4 When wrapping a newborn, I'd stand near a bed to ensure safety in case of accidents ocurring. I'd not backcarry a newborn for fear I cannot check on him constantly. To me, whatever position and however well they are positioned, there is still a safety risk and newborns might not have the strength enough to tell us. So, back carry is a no-no for me.In a wrap, the front cross carry would be most supportive when all 3 layers are used up. With baby in the tummy to tummy position, I'd tie the wrap tight enough to ensure baby is in a comfortable position and that his legs are not bent or crooked. With a newborn, I'd also ensure that he is sitting up right and not stressing out his spine by slightly pushing his back to see if he squirms. If he squirms, it will mean that he is not sitting in a proper position and his spine is bent/curved towards me. 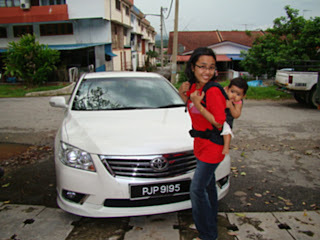 Photo of me back carry Alesya in SSC. How do i ensure her safety? First, i checked the SSC's condition. This include but not limited to fabric, seams and buckles. After happy with the conditions, i will proceed to put Alesya in and buckled up. Next, i do have a look in a mirror how is she doing behind. I will ensure that the posture is right and she not able to reach something that might harm her e.g hair clip, loose shirt's button etc. And last but not least to be aware at all time. The closer to me the safer she should be right? I buy carriers that SAFEty is never been compromised. I get someone reliable to show the SAFE and fun way to wear my baby. I practice first in my bedroom in front of a mirror to build up my confidence and feel SAFE to wear it in public. Periodically, I check for wear and tear if any to ensure that the carriers are still SAFE to use. While wearing my baby, I check on her frequently to ascertain her SAFEty in the carrier. Lastly, I just enjoy the SAFE babywearing while feeling SAFE that she is so SAFEly close to me. 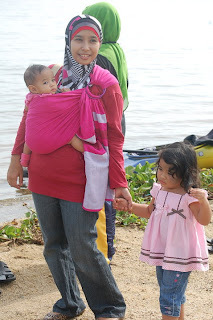 How do I practice safe babywearing? 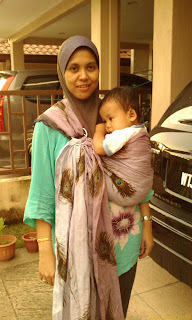 In this picture, I’m using a wrap and backcarry my little one. 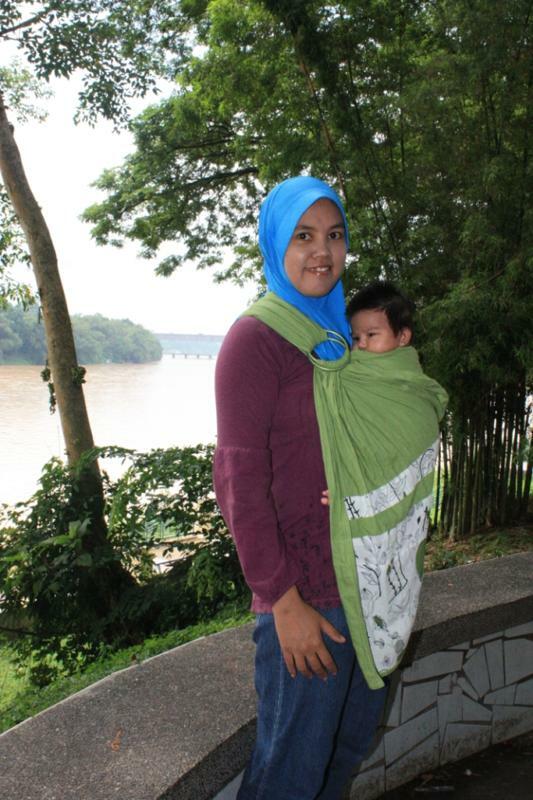 · Check the wrap, whether it is in good condition i.e no tears on the fabric and seams. · When wrapping, make sure the wrap is tied properly – bottom rail should be behind baby’s knee and make sure that the baby is in good pouch seat. 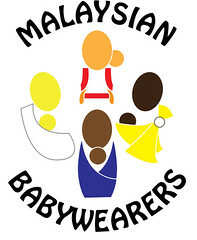 · Make sure the baby’s back is in upright position with her bum must be lower than knees and baby’s head is not covered with the fabric so that she can breathe easily. · Check the baby from time to time by using the reflective surfaces such as mirrors, car or store windows. 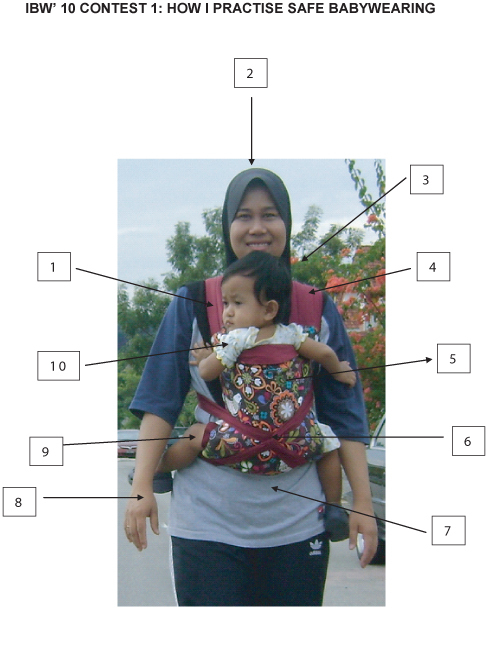 How do I practice safe babywearing? In this picture, I’m using a ring sling and to carry my little one. · Check whether the ring sling is suitable with my baby’s age and weight. · The rings should be in corsage position and not too close with baby’s head. · Tighten the top and bottom rails as well as the middle to make sure the baby is in good pouch seat. The bottom rail should be behind baby’s knee. · For tummy-to-tummy, make sure the baby sits in upright position with her bum lower than her knees. Fabric should cover the baby from neck to knees. 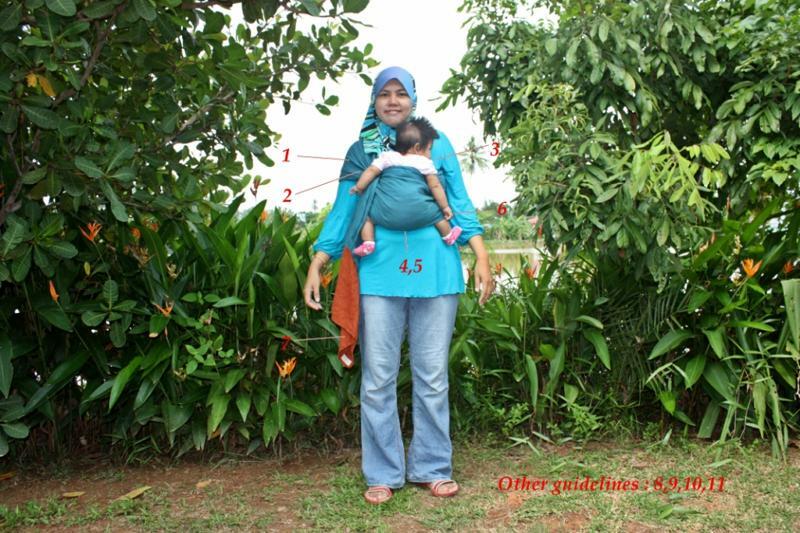 · Check the baby from time to time to make sure her face is not covered to prevent suffocation. 1. Pastikan ada ruang udara bagi membolehkan bayi bernafas dengan elok. 2. Pilih tudung yang ringkas dan tidak terlalu banyak manik. 3. Elakkan aksesori yang tajam. 4. Belajar cara pakai gendongan bayi dengan betul. 5. Pilih fabrik yang sesuai dengan cuaca. 6. Ikat kendongan dengan kemas. 7. Pakaian perlu selesa, ringkas dan tidak beropol. 9. Kedudukan punggung bayi perlu tinggi daripada lutut. 10. Jenis pengendong pilih yang sesuai mengikut umur dan berat bayi.